RC jet powered RC helicopters are now a perfectly practical ( but quite expensive! ) proposition. 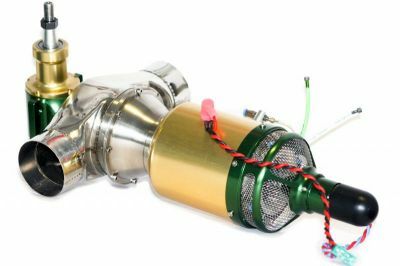 The unit is very similar to that used for turboprop model jet engines, (Click here for more data) with one difference- the gear reduction box has a 90 degree shaft output. 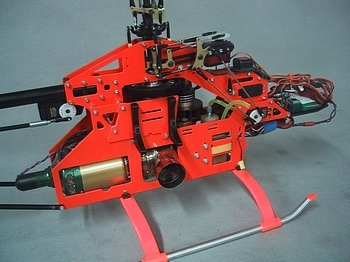 This puts the drive shaft in the same position as a conventionally powered RC helicopter. 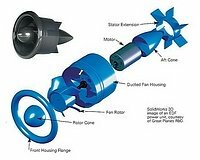 In fact, some manufacturers are offering RC turbine power as an option to the well known types, like gas, nitro or electric power. 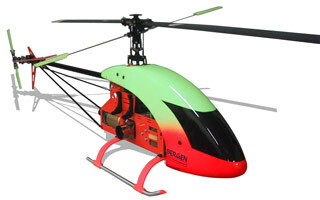 Note that the output shaft is pointing upwards, for connection to the helicopter main and tail rotors. 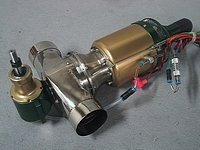 You will also notice that this RC jet turbine is a 2-stage unit. This arrangement is about 80% more efficient than a single stage unit and is highly recommended. The 2-stage concept is explained in more detail on this page, "Model Jet Engines." Click here. 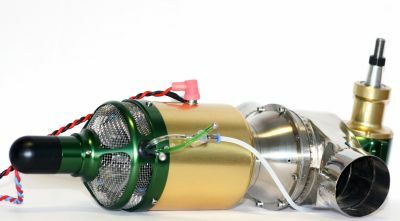 The first stage of these engines are identical to the micro turbine used in fixed wing RC jets and are explained in more detail, on the page "RC Jet Engines Simplified". Click here to visit the page. 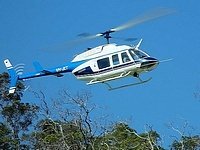 Below you will find the performance specifications for the Wren 44 Helicopter package. As you can see this is quite a powerful package and should be able to fly a lager helicopter easily. The Bergen RC 44 Magnum has a weight of 13.5LB and a rotor diameter of 720mm. 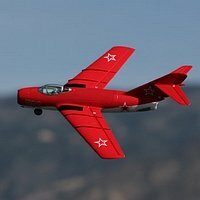 Now this model is capable of 3D aerobatics and a scale model would be a little larger and heavier. This photo shows the interior construction of the Magnum 44. Note that the turbine is facing rearwards!. 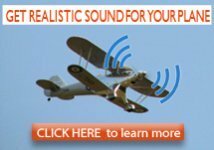 This helps with balancing the RC helicopter and also gives some protection in the event of contact with terra firma- it happens to all of us, at some point! This photo shows the JetCat SPH5. This is a 2-stage turbine and note the fan mounted to the gearbox. This keeps the temperature to reasonable levels. 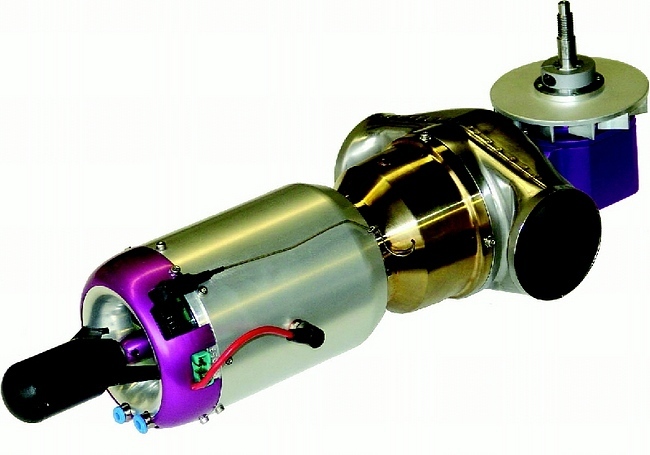 This jet turbine produces over 11 HP and can power helicopters with a rotor diameter of 1.8 to 3.2 meters. Note that the maintenance interval of 50 hours, refers to the period when the unit should be returned to the manufacturer for service. This usually means replacement of the main bearings. These ceramic units are subject to extremely high RPMs and temperatures and it is amazing they last as long as they do! The cost of replacement is about $100 each-but check with the supplier for more accurate costs.